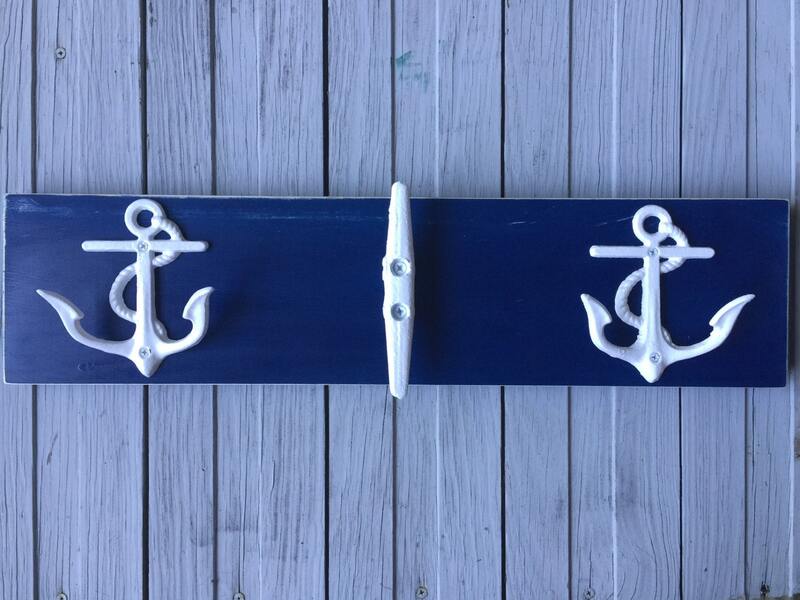 This ready to ship towel rack which could also hold swim suits and wet suits combines anchors and boat cleats for a classy look in practical storage solutions for your beach home, lake house, cottage, foyer, mudroom or mancave. This board is 23" long, and comes with 2 d rings on the back for hanging. 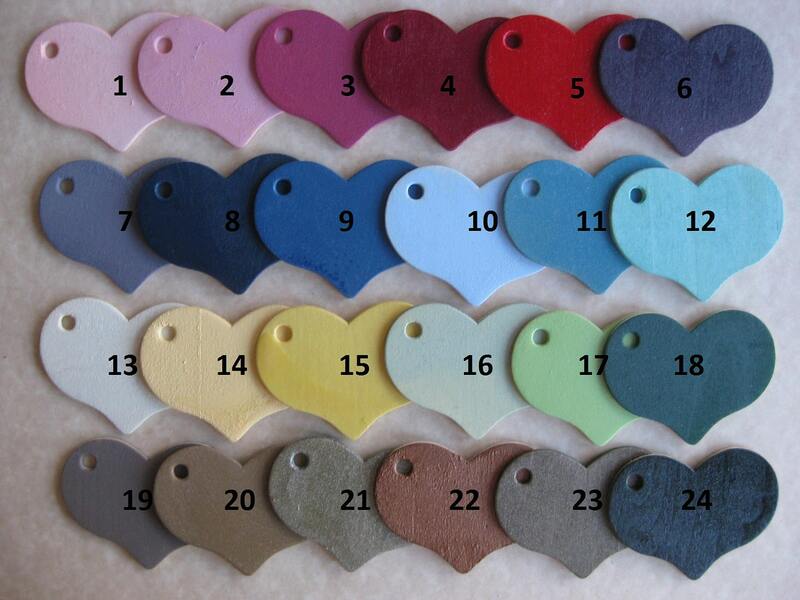 These are 2 of our most popular hooks, offered in 28 different colors (see color palette in last photo), sin ce many of our customers like to mix and match hooks. 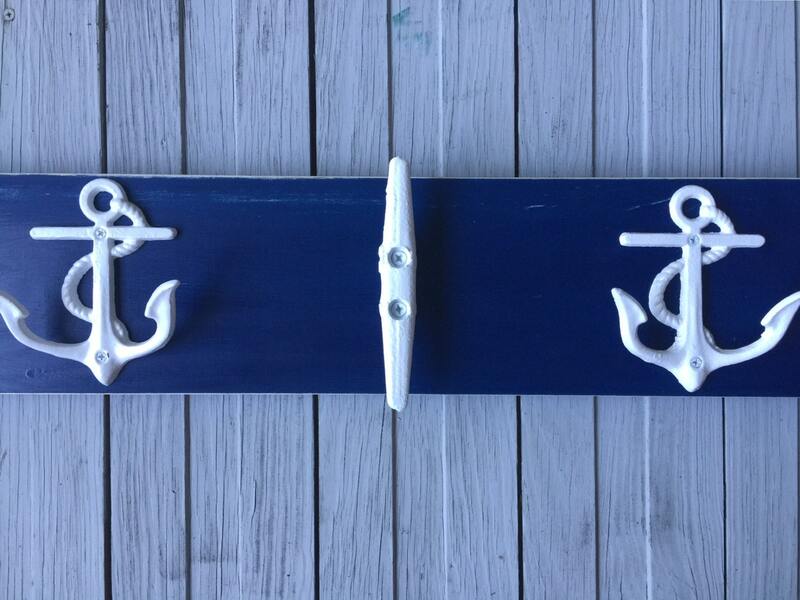 This listing is for the exact board shown, painted navy blue, lightly distressed with 2 anchors and one boat cleat in white, giving you 5 hooks for all your outdoor sports needs. 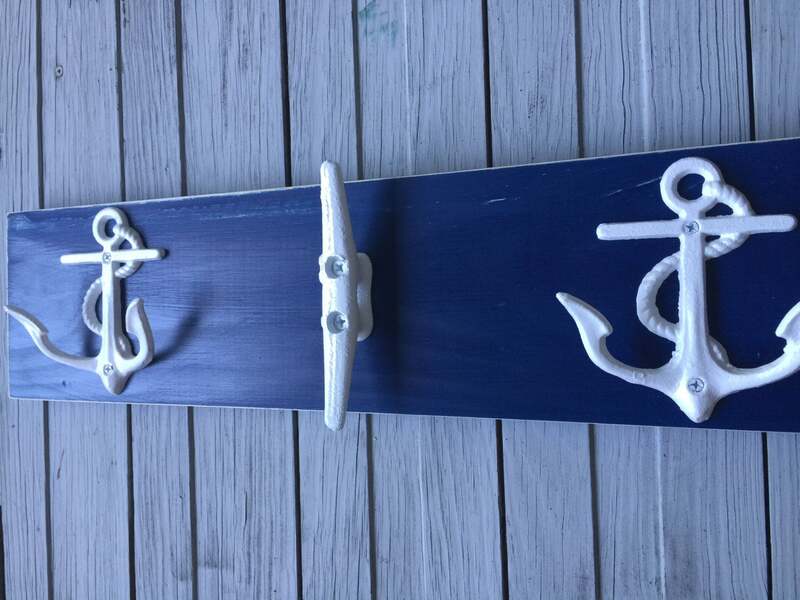 If you'd like to purchase a board, painted by us, with 3 or 4 or more hooks on it, purchase the separate listing for those; this is for the towel rack shown. 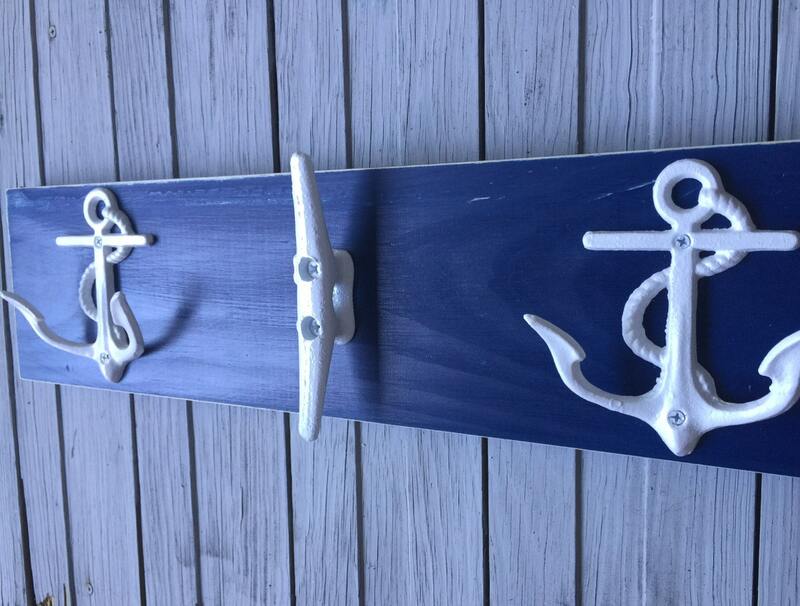 These cast iron hangers and galvanized steel LARGE 6" boat cleats would look terrific in your beach house, cottage at the river, or in your own home front entry hall or mudroom, or as an affordable practical hostess gift/thank you for someone who let you stay in their lake house or river cottage or beach condo! The dimensions of the anchor hook are approximately 4 inches tall, 3 1/2 inches wide. These can also display your favorite jewelry and scarves; use it by the door for keys, and the dog leash, or beach towels; or, just hang it to be a beautiful display all by itself! Convo us with ?s. Thanks for coming by, have a blessed day! This is a beautiful item and the pictures do not do the work justice. Such a good seller and many thanks for my new wall hanger with the lovely hooks! Much appreciation! Perfect for our cottage bathroom!! Very well-made. Love the color. Arrived timely and well-packaged. Beautiful rack arrived quickly in excellent condition, thanks so much! Love it! May have to get another!